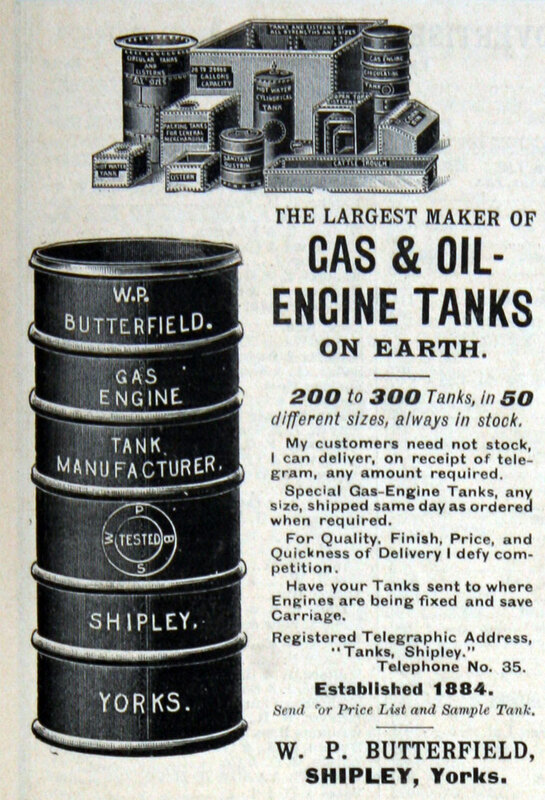 1909. 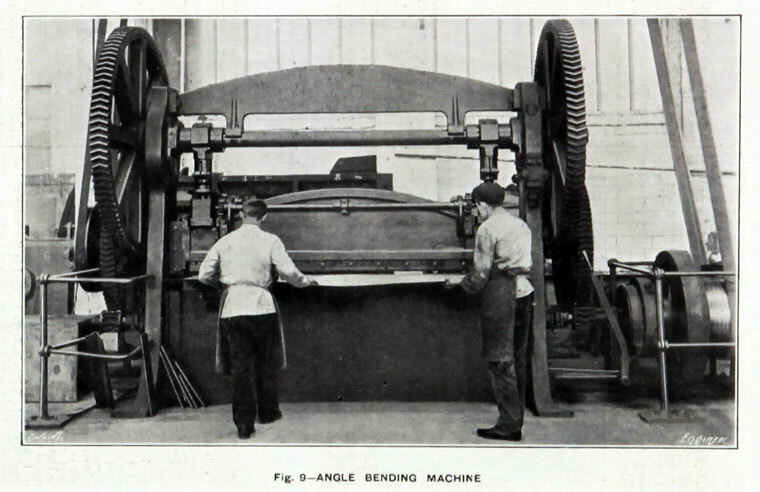 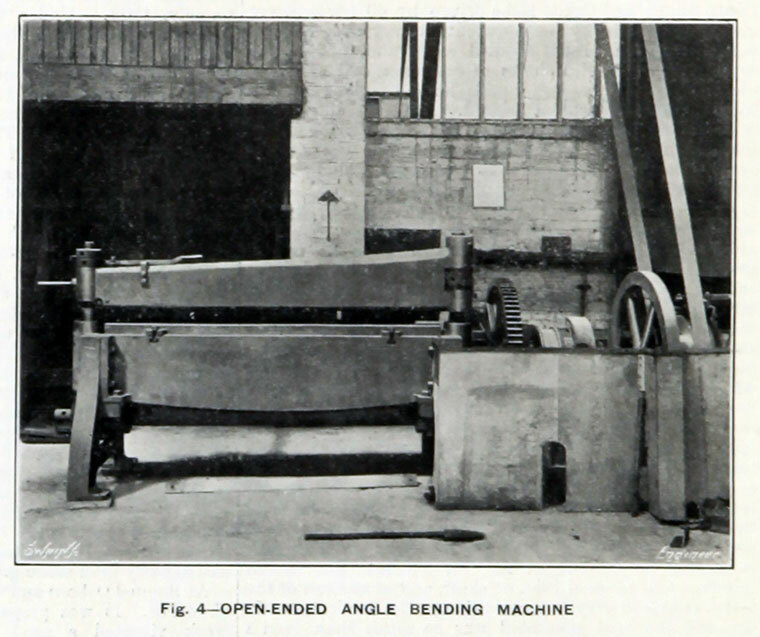 Open-ended angle bending machine. 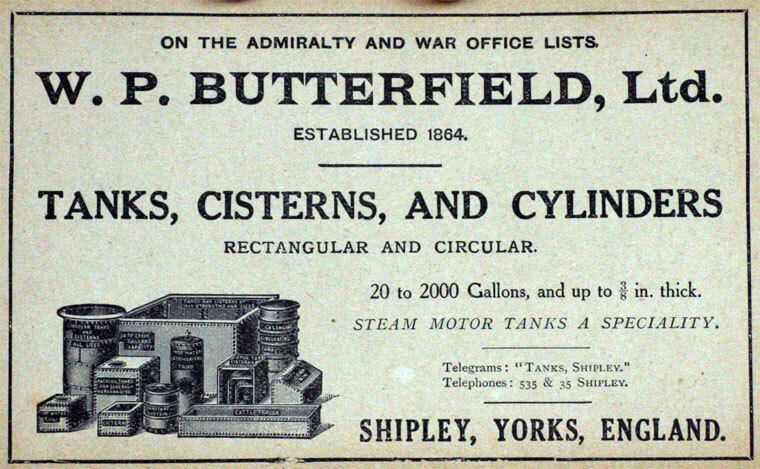 1909. 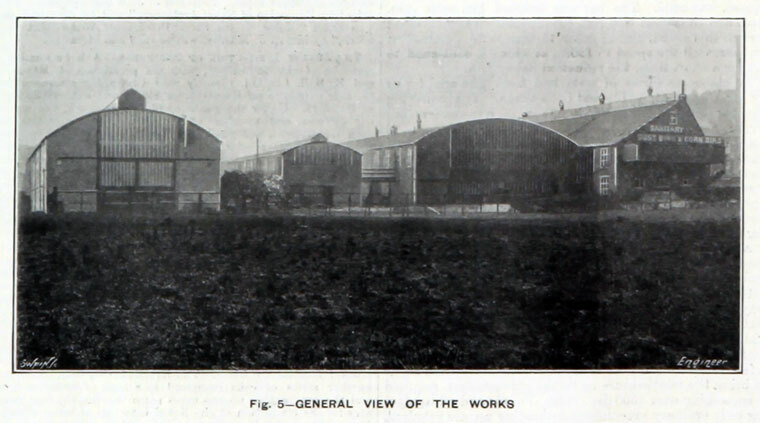 General view of the works. 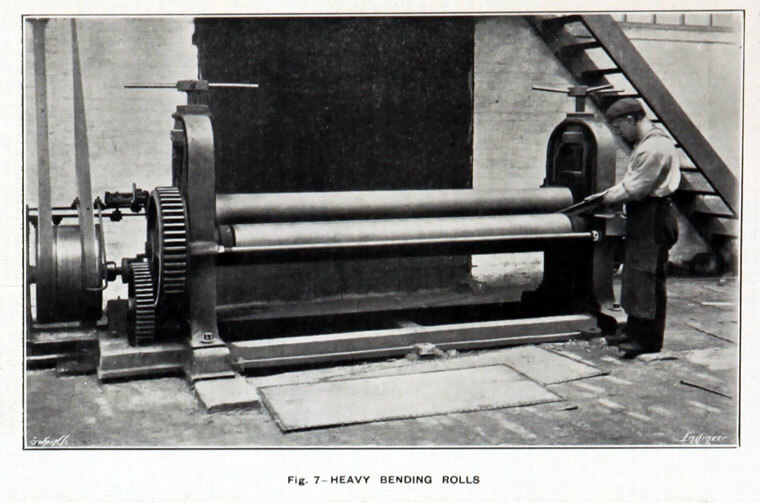 1909. 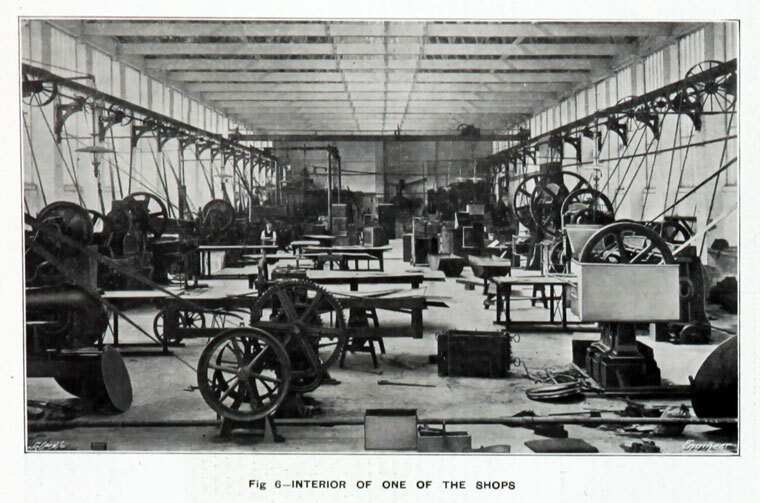 Interior of one of the shops. 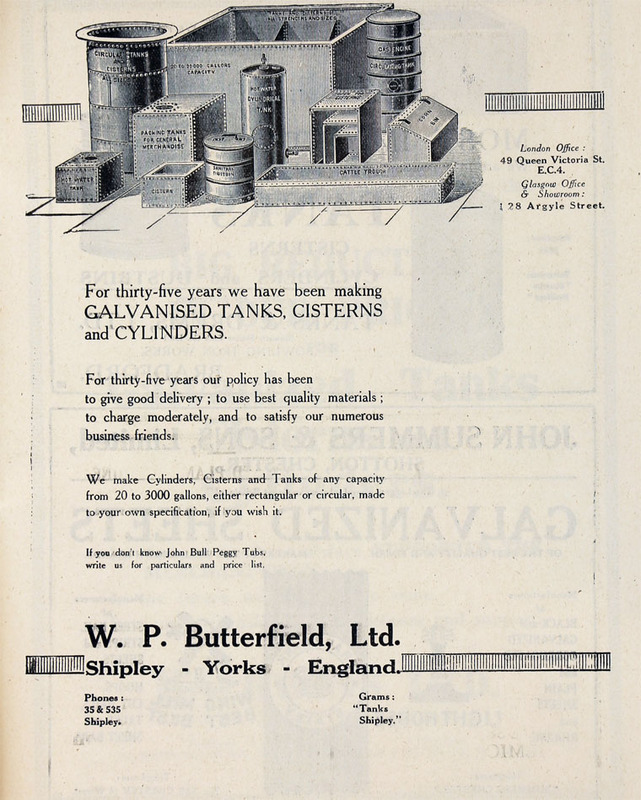 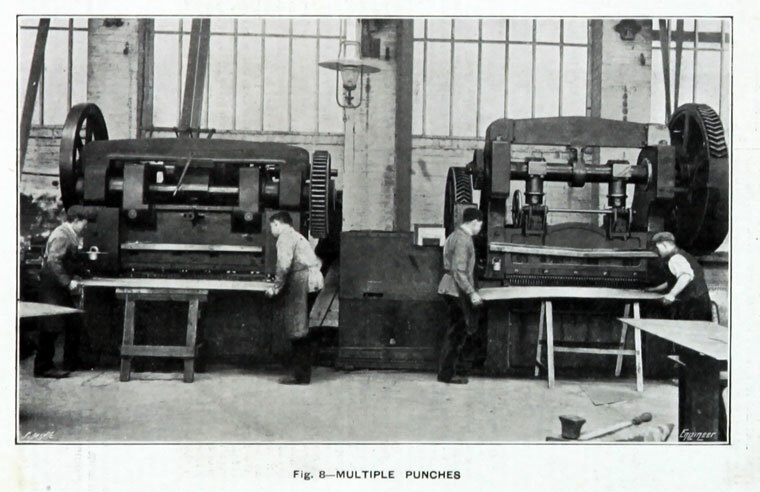 1925 Purchased the whole of the patterns and drawings of Concords, and was prepared to furnish duplicates of any machines purchased from the latter in the past of to supply spares for same. 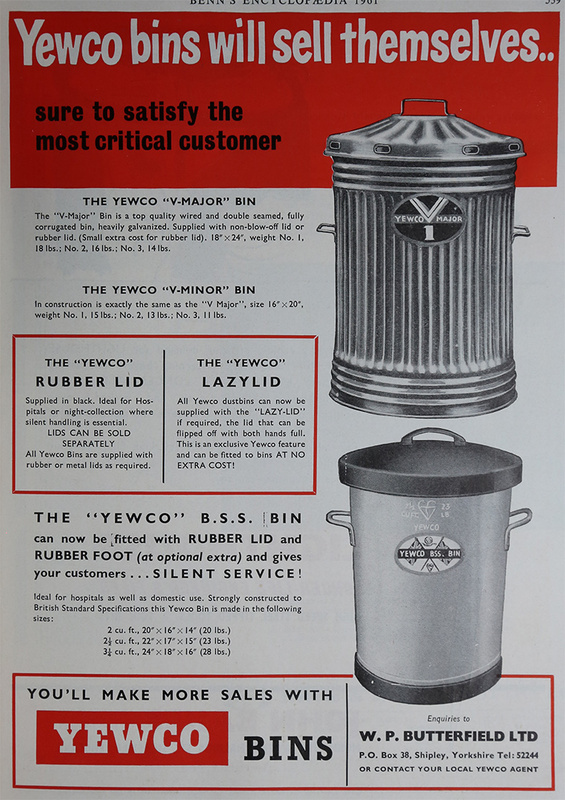 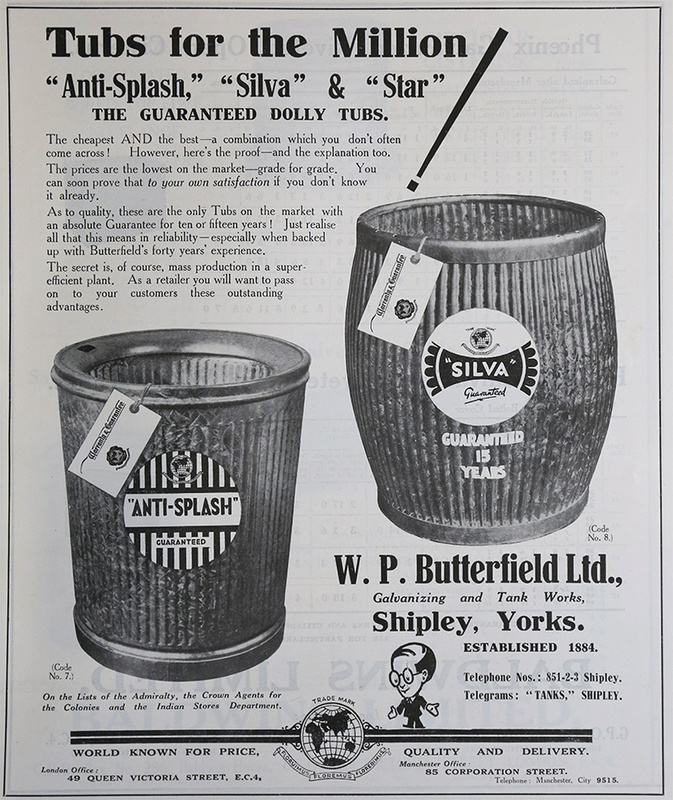 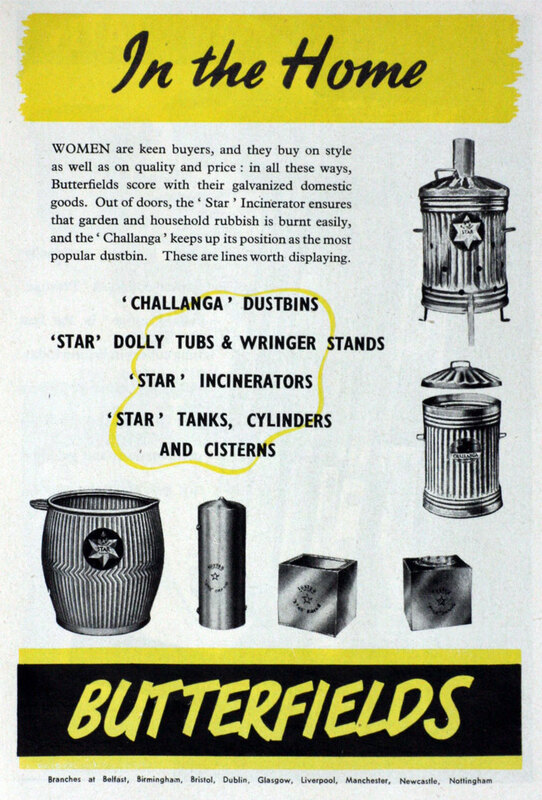 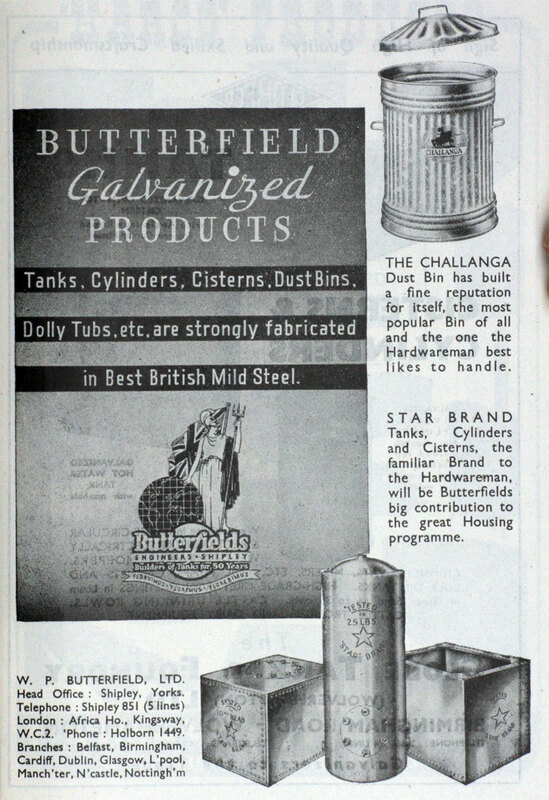 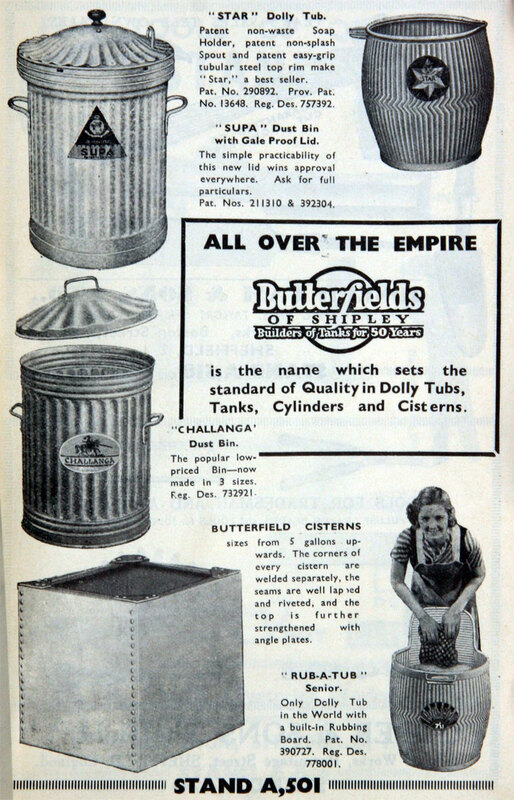 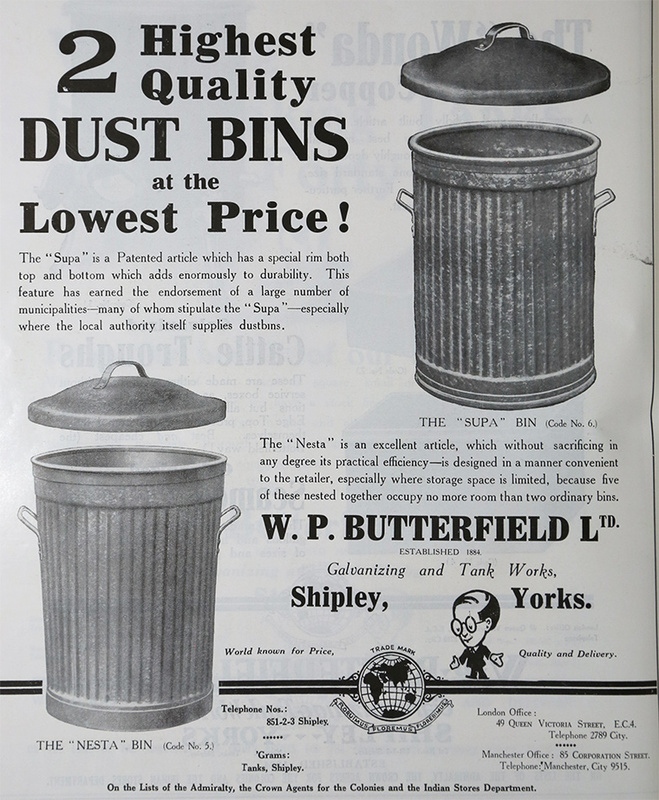 1927 Patent - Improvements in and relating to ash bins or the like. 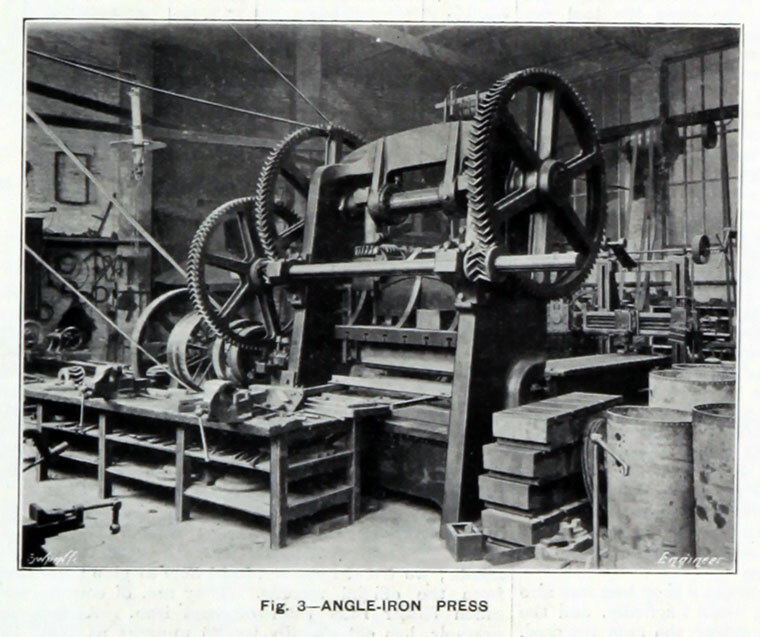 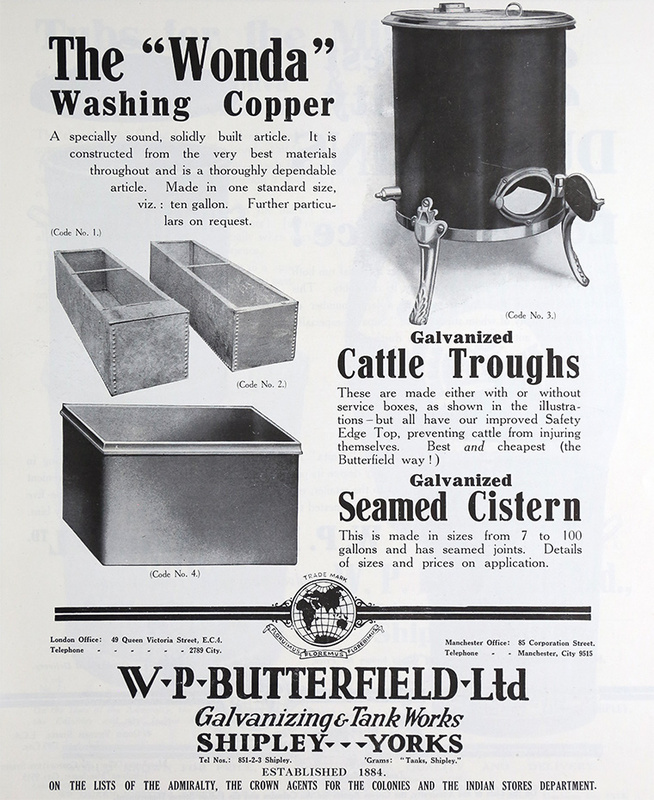 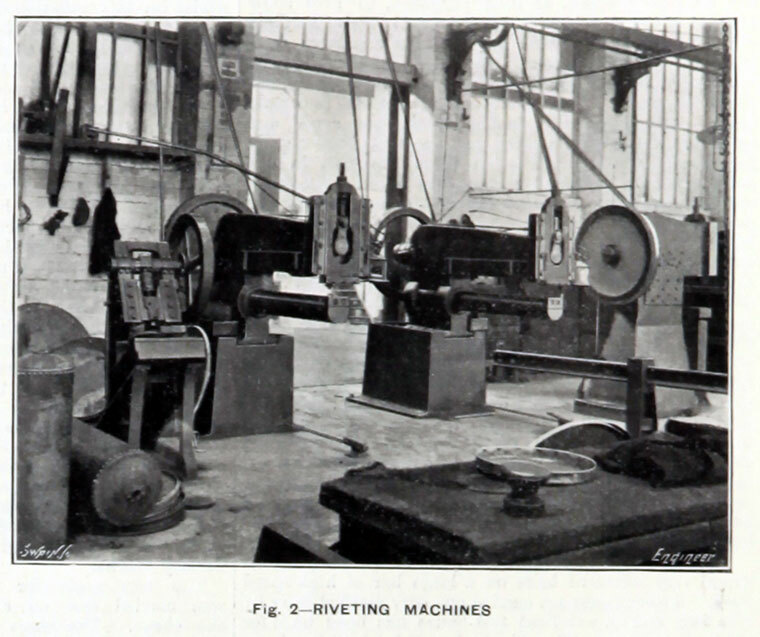 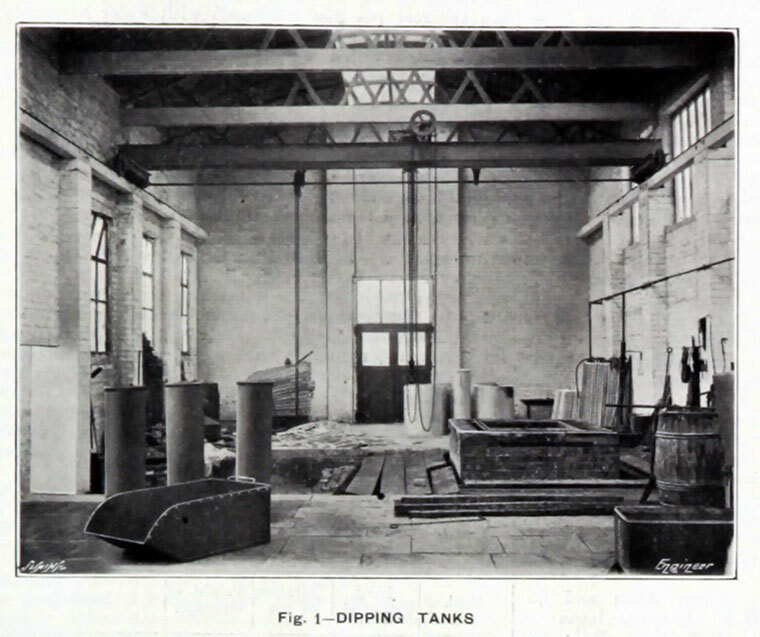 1931 Patent - Improvements in and relating to wringing machine stands. 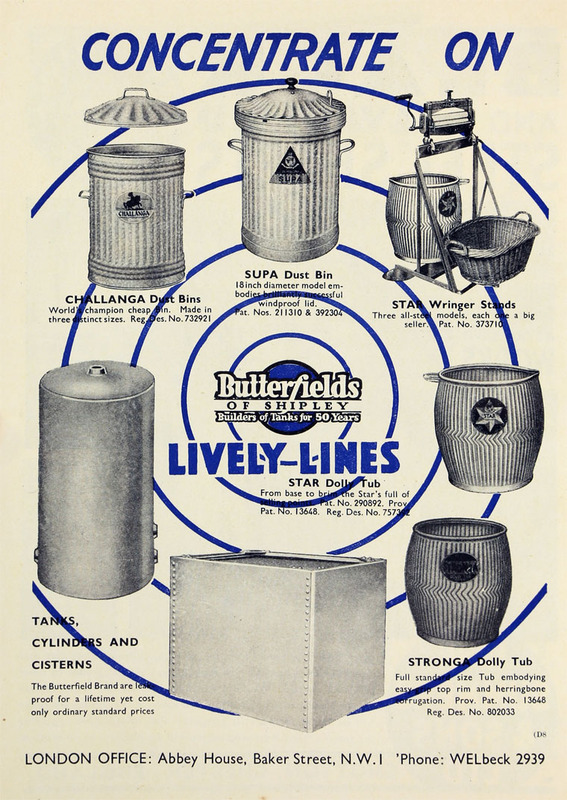 1959 Acquired Bradley and Co. Butterfield Group was a growing conglomerate. 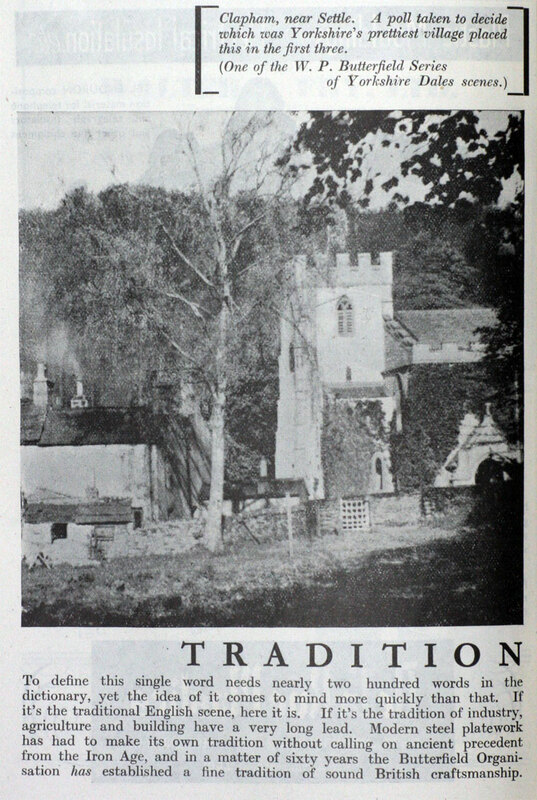 1966 Merged with Shelvoke and Drewry of Letchworth, Hertfordshire. 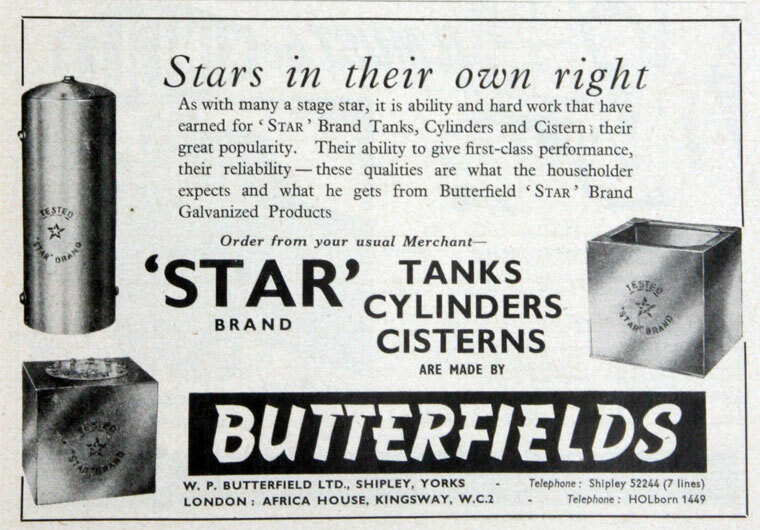 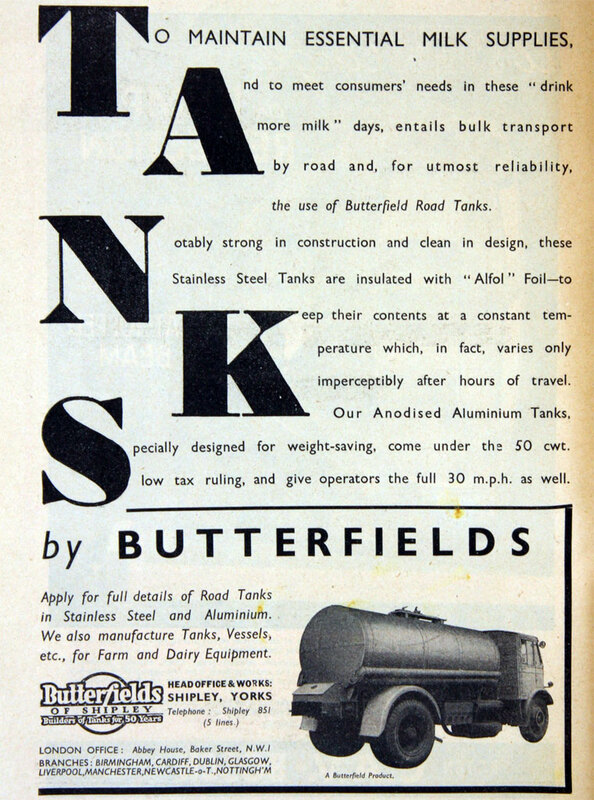 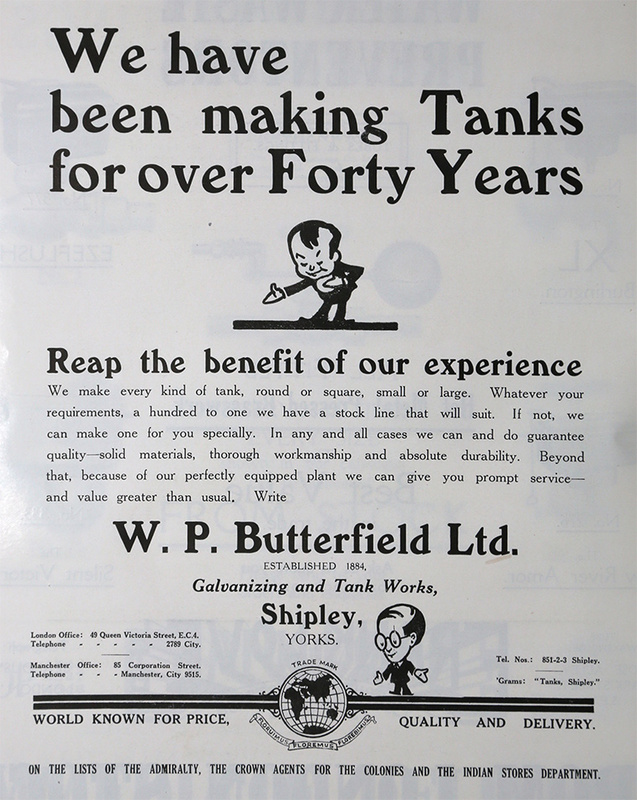 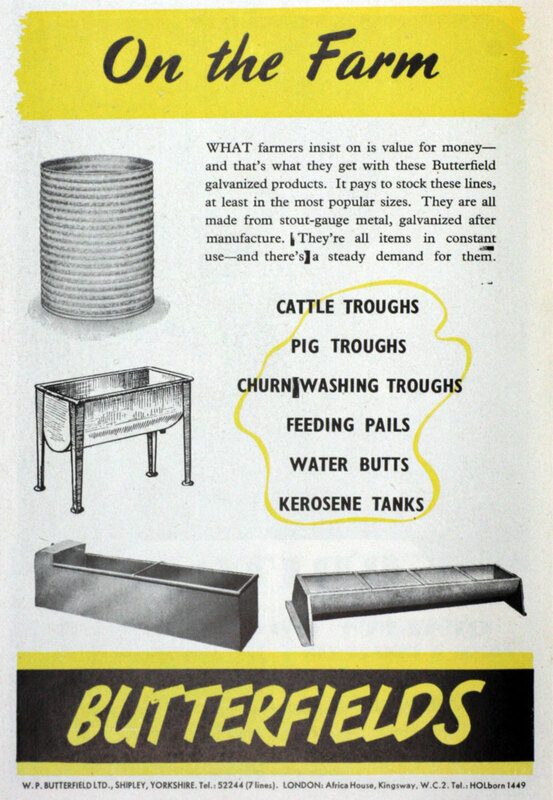 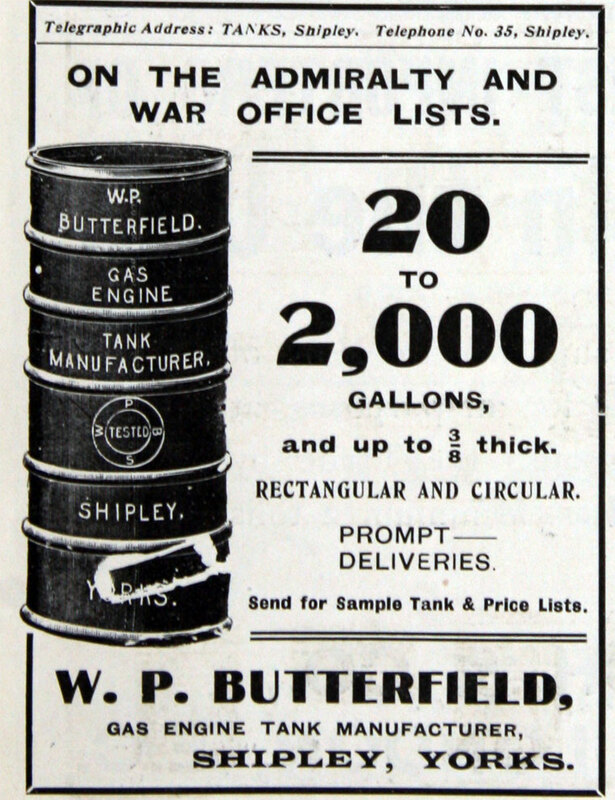 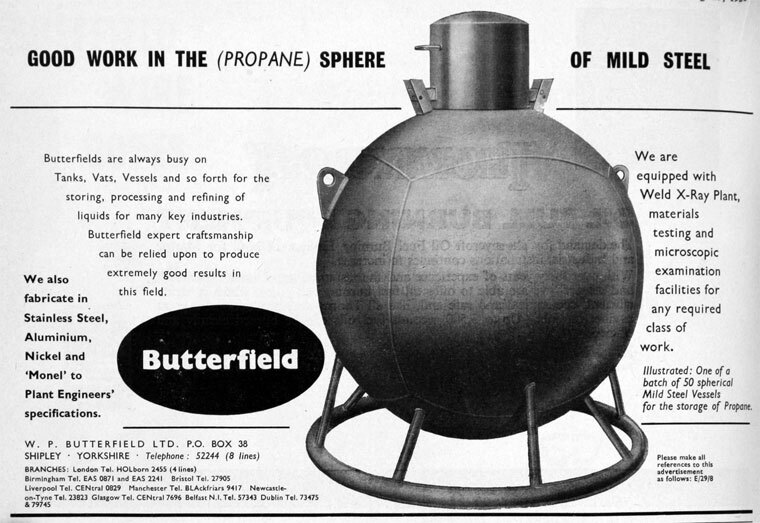 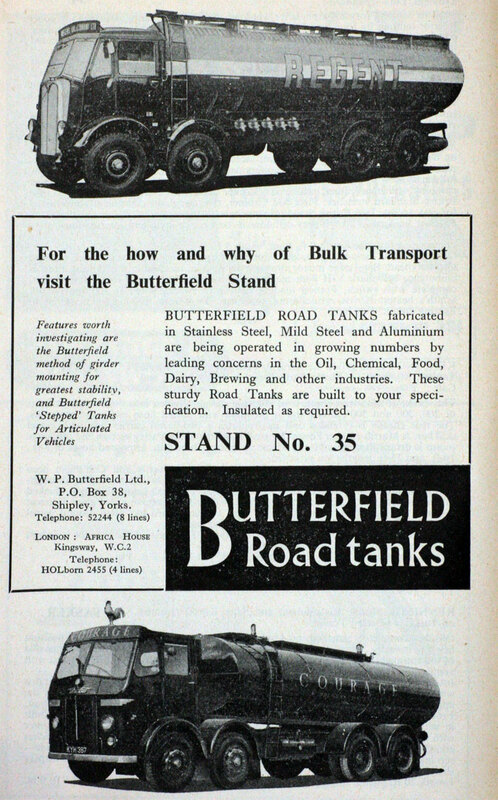 1966 A. J. Butterfield retired from the chairmanship of the company.